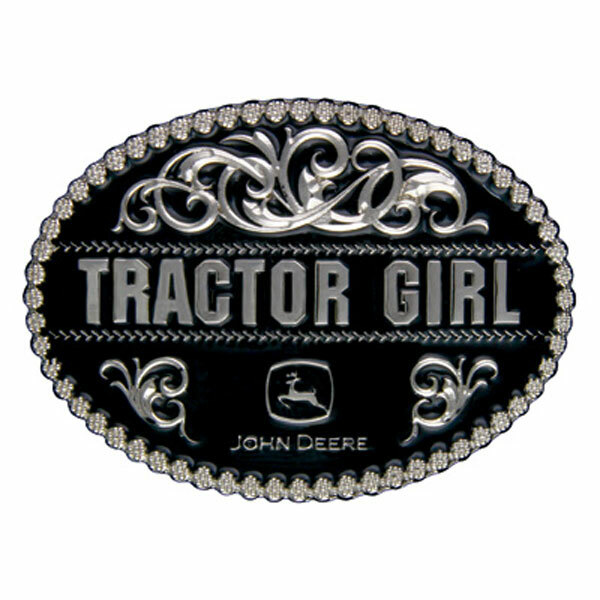 Montana Silversmiths oval “Tractor Girl” buckle with filigree and tire tread accents. Silver electroplated cast buckle with black paint fill. Also now featuring new John Deere licensed packaging!